Wind turbines installed at the beginning of the year at the University of North Texas are exceeding the school's expectations and producing more energy than expected. 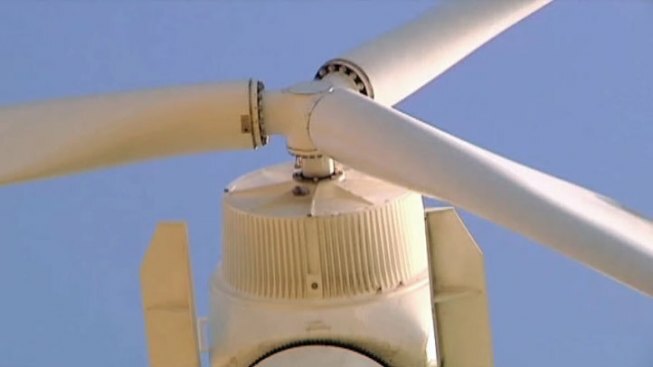 The turbines were paid for by a $2 million dollar grant from the State Energy Conservation office and were installed in February and over the course of the spring. The turbines produced 8 percent more energy than expected. "It was a little surprising," said UNT's Director of System Facilities Don Lynch. "We are very happy with the performance. They seemed to be doing exactly what we hoped for them to do." The turbines help power the portion of campus near the new football stadium, including athletic fields, the intramural field and student housing. Lynch said the spinning has slowed down since the start of summer; however, this is normal. They are expected to speed back up when fall rolls around and the wind picks back up. It's not all about performance.The turbines set a renewable energy example for students and other universities. "Just the fact that it is renewable definitely makes a difference for those that are aware about what's going on in the environment right now," UNT student Cherise Lincoln said.